Jami has been an online writer for several years. Her articles focus on everything from pet maintenance to ear piercings. Stretching (also commonly referred to as gauging) is the form of body modification in which a healed piercing is stretched to accommodate larger jewelery. Body modification is the deliberate altering of one's body for any non-medical reason, such as, aesthetics, self expression, religious purposes, cultural purposes (right of passage), etc. A gauge is a jewelery size for smaller piercings. Smaller jewelery sizes are either measured in gauges or millimeters. Gauge sizes range from 20g to a 00g (or 0.8mm to 10mm), 20g being the smallest and 00g being the largest. Before you can begin stretching your piercing, it must be fully healed and you need to know what size it is already. 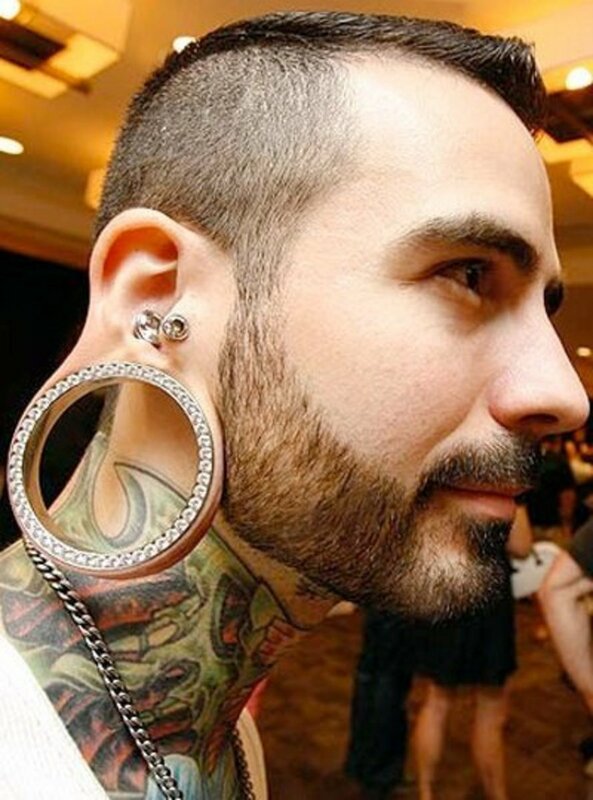 Fresh piercings in the earlobes are most commonly either a size 20 gauge or a size 18 gauge. Once a fresh piercing is completely healed, you can begin the stretching process by incrementally increasing the size of the ring or gauge you wear. Replace the current size gauge with another that's one size up. Never skip sizes; doing so can cause permanent damage. 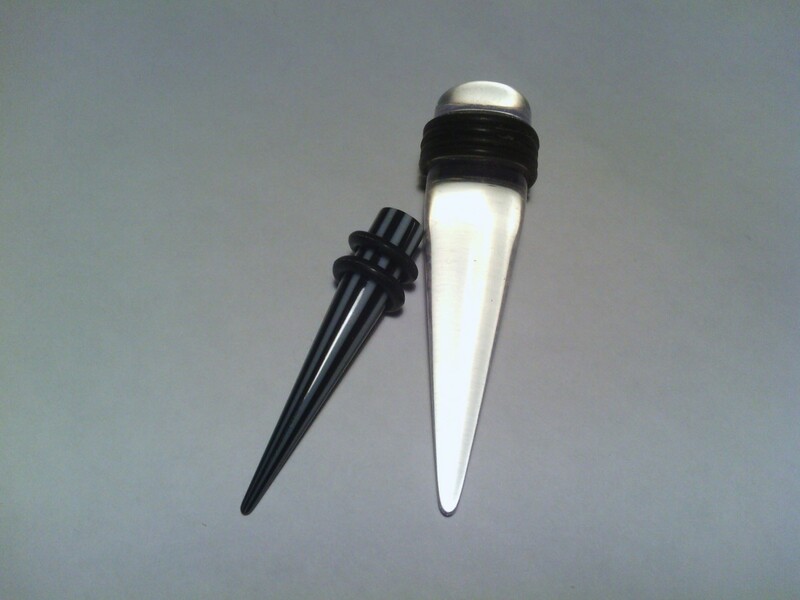 Tapers are generally used to stretch a piercing if the gauge is a 00 or smaller. After changing sizes, give your ears a few weeks to adjust. 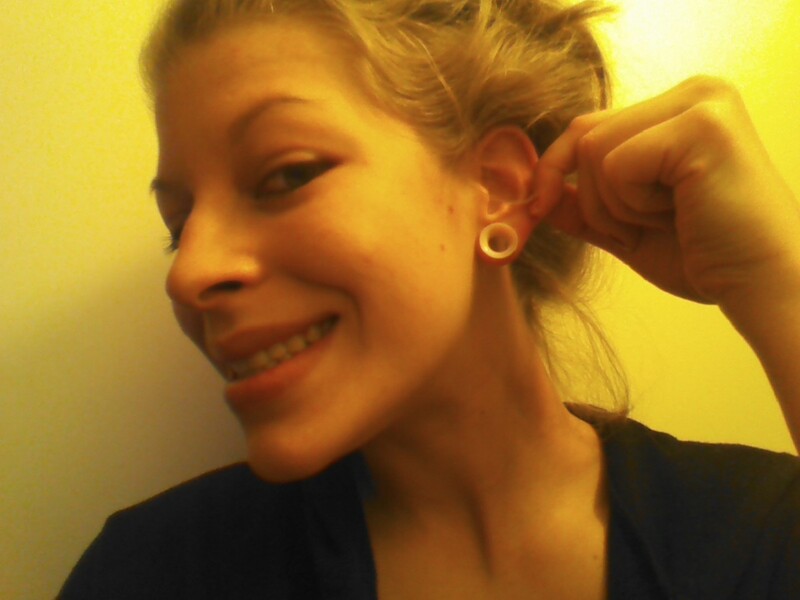 Always make sure a freshly stretched gauge is healed before stretching again. Then repeat the process until you reach the desired size. A plug is a piece of jewelery that “plugs” a larger, stretched piercing (most generally in the earlobes). Once you stretch a piercing past a 00g, you'll begin measuring the stretches in millimeters and inches instead of gauges. 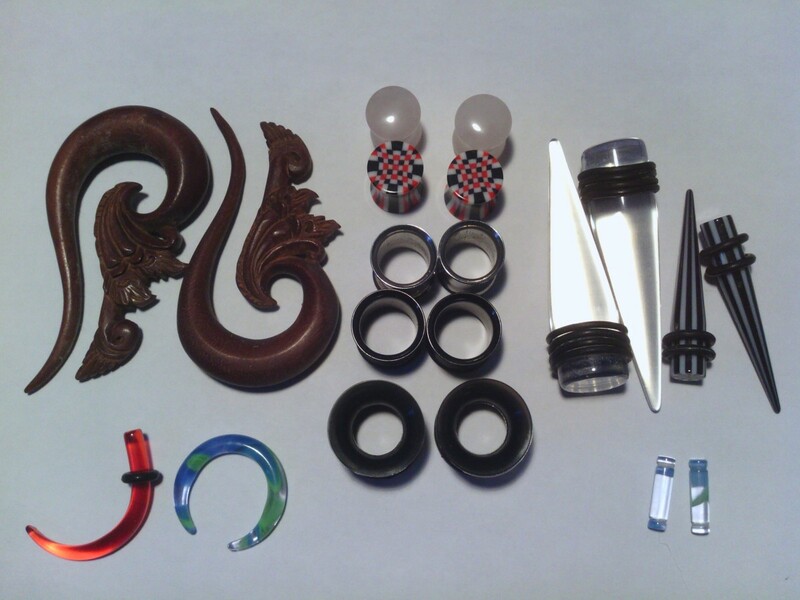 For sizes larger than 00g, the best way to stretch is with silicone plugs—at this point, you should no longer use tapers. Stretching a piercing past the gauge sizes is more difficult and one is more likely to experience a blowout or other damage to the piercing. Always remember to take care of a freshly stretched piercing. Cleaning the stretched piercing daily will help reduce the chance of infection and will allow the stretch to heal properly and quickly. There should be no bleeding or pain after a stretch. If you experience bleeding or pain after stretching a piercing, downsize immediately. A piercing blowout is when a piercing is stretched too quickly (again, most commonly in the earlobes) and the fistula (the skin tunnel) is forced out the back of the piercing, causing an unaesthetic “lip” on the edge of the piercing. Blowouts happen more commonly in larger plug sizes and/or when using tapers to stretch a piercing. There are a lot of tips and advice on ways to heal a piercing blowout, but when treating a blowout, the first step is to immediately clean the damaged piercing and downsize to a smaller gauge or size. After the blowout is cleaned and downsized, do not touch or play with the damaged piercing, except to apply vitamin E oil (and/or clean the affected area). Do not try to stretch until the blowout is healed. Some piercing blowouts never completely heal, so preventing one from happening is best. To prevent blowouts, be careful when stretching: Always stretch a piercing slowly and never skip sizes. You should always allow the stretched piercing to heal in its own time. Never try to stretch until the previous on has healed. You can prevent a blowout by always stretching in the shower (the warm water makes the skin more elastic) and/or by using a lubricant (which also makes the skin more elastic). 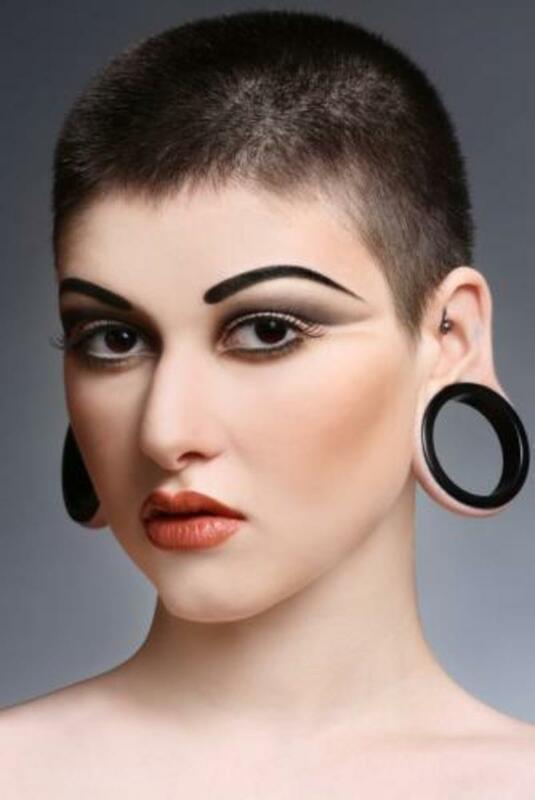 Do you have a stretched piercing? I'm not a piercing fan. Some of it looks nice but some looks too far gone. 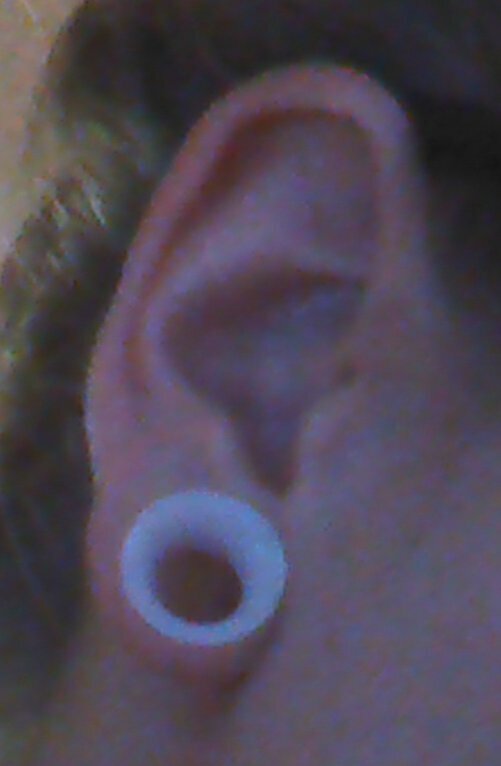 I've seen stretched ears where the flap of skin is dry and pulled tight. It turns my stomach. The little bit of ear skin left at the edge looks like thin leather about to snap. I can't deal with people who have this - my focus is on their ear rather than what they are trying to tell me. I'm not against body modification, I just don't want to see it when it looks painful or like it's about to require stitches/ surgery to fix it. Ear stretching seems to be pretty popular. I'm just waiting for it to go to neck stretching next, where they wear more and more metal rings around their throat. I'm sure it will bring back Japanese foot binding too. Someone will need to find a new extreme.